A quick note from angklung performance by Tunas Bangsa Kindergarten last month. His face attracted me in particular because the way he played the musical instrument: such an energy, such a joy! Angklung is a traditional musical instrument made entirely from bamboo, it originates from West Java, Indonesia. 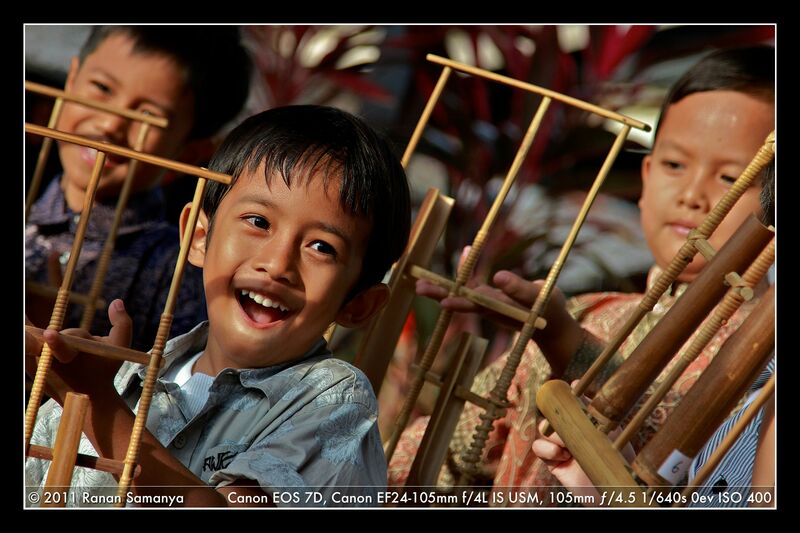 Each piece will produce different tone; as such angklung is played in a team, not individually.